The images for these murals were before the age of digital. I wish I’d taken more pics of the work I did, but just wasn’t thinking! I did manage a few photos though. Here’s a few! This one was quite awesome to do! It’s done with CANS OF SPRAY PAINT, plus a power sprayer for the blue and gold by the iguana. It was done on a westside Phoenix pet shop. I remember my index fingers being really sore and crampy from pressing those nozzles all day. And no, I didn’t wear a mask…I just didn’t know!!! Probably ‘splains a few of my quirks! Anyway, I got written up by the Spanish pubication “Chicanos por la Causas”. This building previously had a lot of probs with graffitti. No longer. A grafitti artist would no more grafitti this art than he would grafitti a mushdash on the virgin Mary. It would be sacreligious. Truly. This was my first motorcycle. I remember it being fun to do, but tedious with all those little chingadoodle parts to it! See the “Julie B” for the signature? That’s when I was married to Peter and my last name was Beatson. 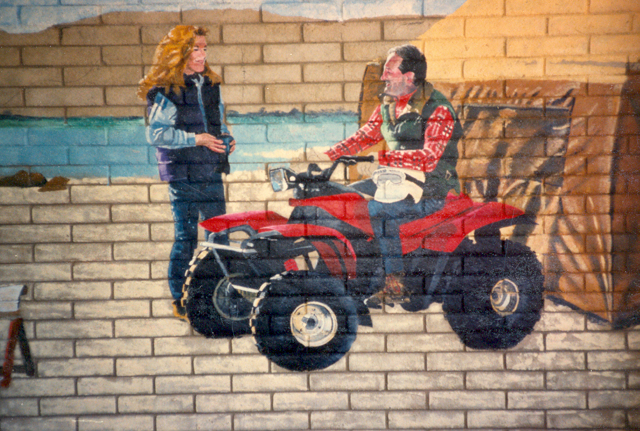 He’s been gone nearly 15 years now…this mural was a LONG time ago! Maybe 20 years ago! 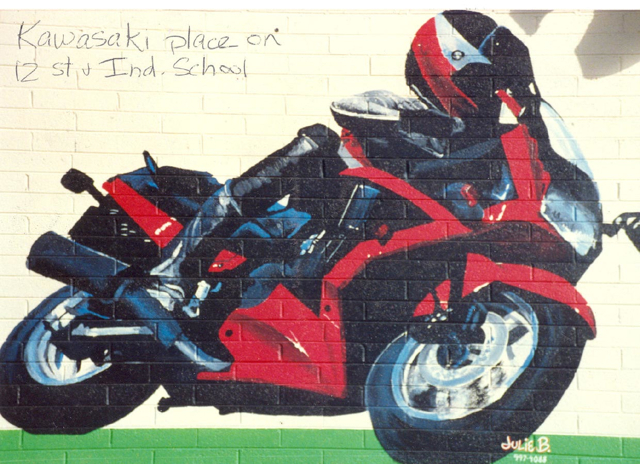 This mural was inside a motorcycle shop in Phoenix. It was my first landscape. It was very simplified, but effective all considering…especially considering this was done on block! Eh what a horrible canvas! Most of it worked though, especially the tent I think. The woman’s face was rather distorted tho. This was a ‘vanity mural’. The guy on the quad is the owner, the woman is a receptionists or something, and there was another man in it by a campfire and he was the manager. Pretty fun for all! 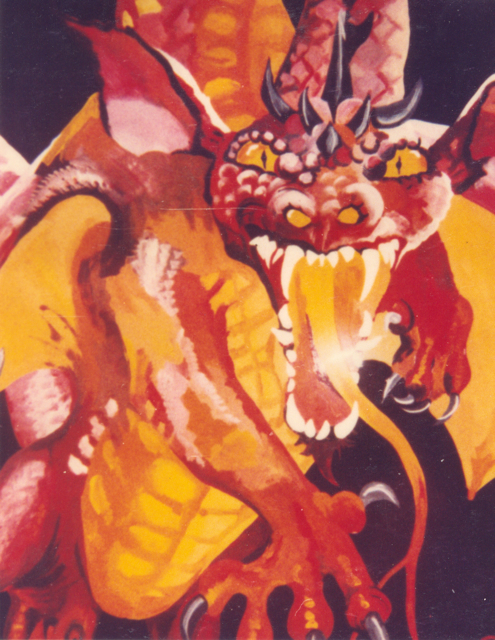 This dragon was done on a comic book store in Glendale AZ. I remember it was done with One Shot Lettering Enamel, a really tough paint. 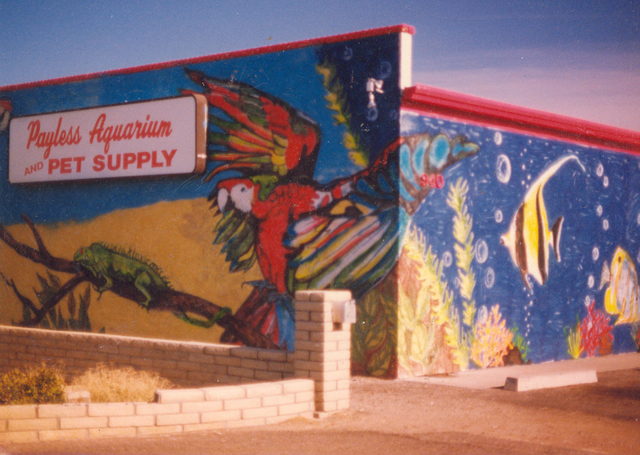 This mural was on the store for years and never lost it’s color even though it had a southern exposure. 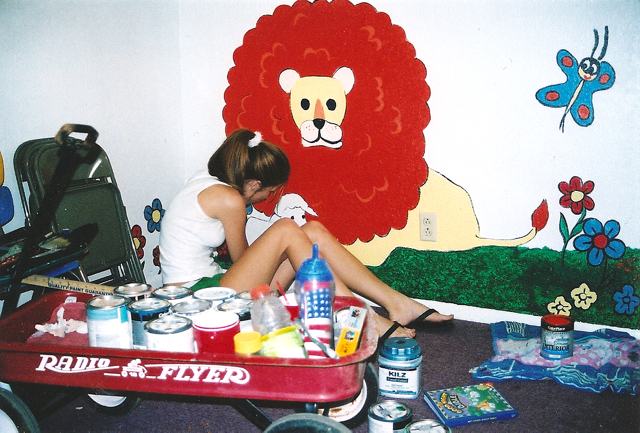 This is a small part of a Church nursery that my daughters helped me with. This is Katie in the pic. The church is a little hispanic church in Mesa. I don’t know what religion it was, but I do remember at first I had a sweet pic of Jesus with little children around him I was going to do. I sketched it out in charcoal, then the woman who I was doing it for (she was the nursery teacher, a woman who worked in the hospital I worked in at the time, a friend of mine) came in with an ashen look on her face. In her church, they have no images of diety. It is against their teachings. I didn’t know. Yikes. I had to switch gears. Did Noah’s ark scenes instead and it turned out wonderful! The kids had a great time too helping me on this service mural. There’s lots of other “way back’ murals I could post, and I will…just stay tuned!